Wore this outfit 2 weeks ago. The weather that day was really gloomy due to the storm hence the color palette of my outfit. Special thanks to Extreme Finds for my fringe earrings. Without them, my look would’ve turned out differently. 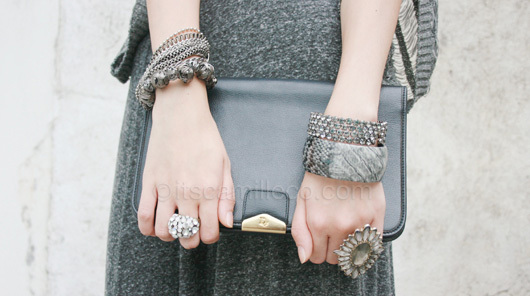 Accessories can really make or break an outfit, don;t you think? My skirt is actually a maxi skirt that I just folded at the waist to turn into a midi. Our household help accidentally shrunk it about 3 inches, so its length is so awkward now. I have no idea why it shrunk. Can someone enlighten me on this?